Company: Gaoyang County Dingsheng Machinery Trading Ltd.
We supply a wide variety of mtz-80 tractor spare parts including engine parts, fuel system parts, steering parts, clutch parts, gears, shafts and so on. The parts are excellent in quality and reasonable in price. Founded in 2007, Gaoyang County Dingsheng Machinery Trading Ltd. is a leading supplier of mtz tractor parts, Chinese diesel engine parts, and John Deere combine harvester parts from China. The company is located at the auto & farm machinery parts mall of Pangkou Town, the biggest market in this field in China. 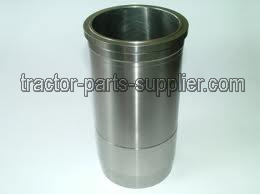 Regarding tractor parts, we supply quality replacement parts for mtz, john deere, massey ferguson, new holland, ford, fiat, etc. Meanwhile, we also deal in all Chinese tractor parts including Jinma, Foton, YTO, Shifeng, Weituo, Dongfeng, Changfa and Taishan etc. Based on the operation philosophy of “Quality First, Customer Priority”, our products have been exported to Southeast Asia, Mideast, Africa, Russia, and many other countries and regions in the world and have won a high reputation in our clients. We welcome overseas businessmen to do business with us and we will certainly provide you with quality products and excellent service . MTZ-80 tractor parts,John Deere combine harvester parts and Chinese diesel engine parts from China.